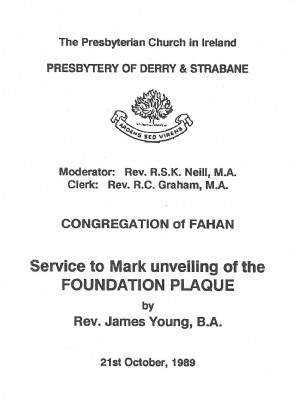 Service to mark the unveiling of the Foundation Plaque gy Rev. James Young, B.A. on 21st October 1989. Moderator: Rev. R.S.K. Neill, M.A. Clerk: Rev. R.C. Graham, M.A.